Heather B Photo parties are totally unique. They’re sure to be a big hit with your party guests. 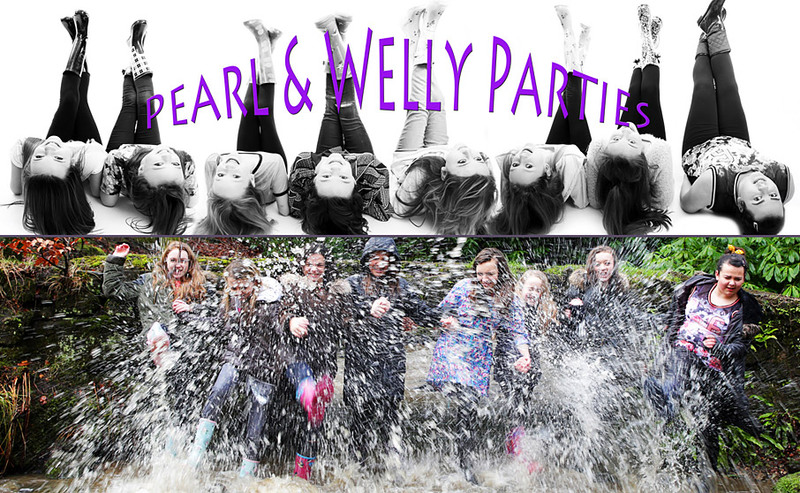 Pearl and Welly parties are completely different to any other party you may have attended. Every party is different. This is a fast, fun, party packed with lots of props, backgrounds, and locations. Parties last approximately 2 hours but allow 2.5 hours. All refreshments are provided by Heather B and of course you can add your own. Minimum guests (6) maximum (12). The party guests need to arrive 15 mins before the party is due to start. They will be greeted by Heather B and will then gather in the cosy gallery room. The first half of the party is indoors, then you to change into your outdoor party wear for the outdoor sets. We start with the amazing grounds of the hall where you will learn how to pose outdoors and get hints and tips on how to get beautiful portraits. You will even get to assist on each others photographs. The next stage is a short walk off to the forest to put those wellies into action. Here we use the moss covered logs, the fairy bridge the pebble filled stream for fun and gorgeous rural portraits. The parties are none stop the whole time you’re there with a mixture of individual and group shots of you and your very special friends. Creating memories that will last forever. Don’t worry about the weather, Heather always has a back up plan. ALL the images will be on line in 7 days after the party and all images can be downloaded FREE! from the client area on the website. Birthday Girl gets a beautiful Heart shaped, diamond covered pen drive with gift. bag. Ring Heather for a chat about the parties if you want a little more information, would like some ideas on how to theme your party or if you have any special requirements (such as food or pet allergies).